Item # 317198 Stash Points: 3,395 (?) This is the number of points you get in The Zumiez Stash for purchasing this item. Stash points are redeemable for exclusive rewards only available to Zumiez Stash members. To redeem your points check out the rewards catalog on thestash.zumiez.com. 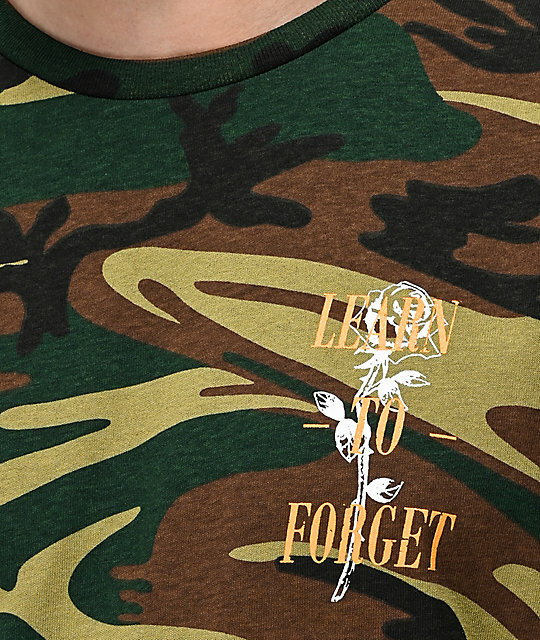 Add some army fatigue-inspired style to your streetwear looks with the Learn To Forget Nu-Rose Camo T-Shirt. 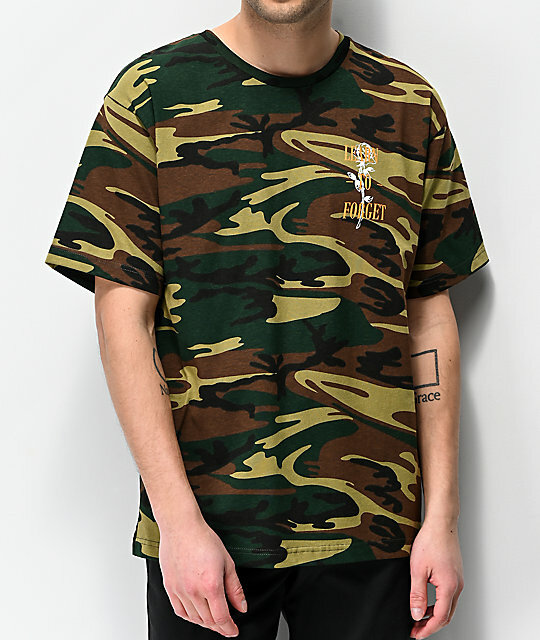 Allover camo print throughout offers tons of pattern and color while screen-printed orange and white script logos with roses behind sit at the left chest and back for clean branding and style. 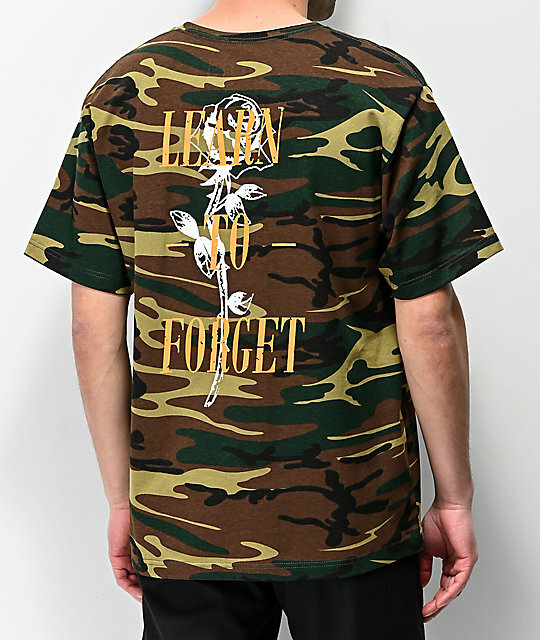 Nu-Rose Camo T-Shirt from Learn To Forget. Screen-printed matching rose logo graphics on the left chest and back in orange and white. Woven brand tag at the lower hem. 31" (80cm) from top shoulder seam to bottom hem.